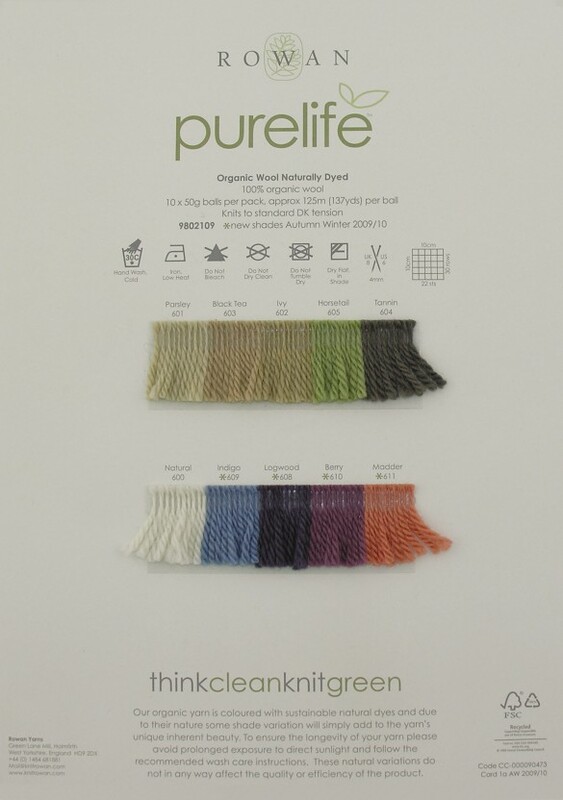 Yarn Type Organic wool, naturally dyed from plant dyes. 100% organic wool. (per ball) Approximately 125 metres (137 yards) per 50g ball. Hand wash (30 deg C) in pH neutral detergent. Features 12 designs for women by Marie Wallin using Organic Wool Naturally Dyed.